Sony Computer Entertainment (SCE) announced the company will push cross platform compatibility between PS3 and PS Vita gaming systems. According to Sony, the cross platform features will include collaborative gameplay and the ability to use the PS Vita as a remote for the PlayStation 3 (for titles such as ULTIMATE MARVEL VS. CAPCOM 3 and soon, LittleBigPlanet 2). Features also include cross-saving to PS Vita to be able to pick up a game where you left off on the PS3, goods sharing, and remote access to PS3 from PS Vita. Open the Press Release link below for full details. The Cross-Play feature allows PS3® and PS Vita users to enjoy match or collaborative game play. The Cross-Controller feature allows a player to use PS Vita as a controller to play games on PS3®, by utilizing its rich features including touch screen, rear touch pad, six-axis motion sensing system, and cameras. Users can enjoy the two types of gaming experiences through the large TV screen and PS Vita display. By managing saved data between PS3® and PS Vita, the Cross-Save feature enables users on the go to continue playing games on their PS Vita, right from where they left off on their PS3® at home. The Cross-Goods feature allows users to enjoy various content such as purchased downloaded content and user generated content on both PS3® and PS Vita by transferring to other platform, by sharing between both platforms, or by other ways. 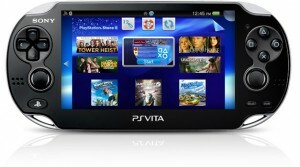 The Remote Play feature allows PS Vita users to remotely access their PS3® to enjoy content including games and videos. SCE will further accelerate the proliferation of PS platform by maximizing the strong collaboration between PS3® and PS Vita. (*1) The name and launch timing of each title differs by regions. The 1st party titles are listed per Japanese Alphabet.